The upcoming year will show us how multiple regulatory environments can work together to support drones entering the National Airspace System (NAS). For instance, state, local and tribal governments will will be working directly with the FAA in the White House-directed FAA Integrated Pilot Program. As more and more drones enter the skies and increasingly interact with populated areas, the various layers of government will continue to gain recognition and play a larger role in future drone regulations. However, because of differing rules, noise and privacy concerns, individual community regulations are beginning to cause complications. While there are arguments for and against each of these governments defining their own drone regulations, the pathway toward progress will likely be collaborative regulatory efforts—efforts that will combine layers of government to reach agreement with efficiency and minimal roadblocks rising from conflicting permissions. Throughout 2018 several federal agencies will address integrating unmanned aircraft into the airspaces where they are most needed. For instance, this October, the White House and the FAA launched an integrated pilot program to allow for continued research for beyond visual line of sight and to facilitate the integration of UAS into the U.S. airspace. Also, throughout 2018, in lockstep with the FAA, NASA will be researching the UAS Traffic Management (UTM) space and examining the ability for drones under 55 pounds to fly below 400 feet and beyond an operator’s line of sight. NASA has been conducting similar research for a number of years, from TCL 1 and 2 in 2015, 2016 and 2017. The next year will see even more initiatives kicking off and effort being applied to risk management approaches with TCL 3 tests taking place in 2018. NASA is also working towards a Systems Integration and Operationalization Demonstration in 2020 for drones larger than 55 pounds flying over 500 feet. Although a regulatory framework is still under development, next year will see tremendous growth for commercial drone applications as commercial industries pursue aerial data to provide insight into profitable inspection and survey data collection. The industry is hopeful that regulations concerning drone flight over people will emerge as commercial and general aviation communities integrate and collaborate. As both communities work together, all aviation sectors need to be mindful of each other’s activities in the U.S. airspace. The drone response to recent natural disasters is encouraging an easing of regulations for drone use in search and rescue missions and other humanitarian efforts. From assessing damage to locating people in distress, drones have proven themselves to be extremely valuable in these unfortunate situations. Drones will be utilized throughout 2018 for disaster response efforts and the technology will continue to leap ahead. Stemming from continued UAS integration efforts, a significant number of sense and avoid applications will emerge in the coming year to ensure UAS flight safety. Sense and avoid technologies will enable drone operators and drones themselves to identify obstacles and maneuver fast-flying UAS safely and efficiently. Added research will be conducted in 2018 to develop such collision avoidance systems, which will be necessary as more and more drones enter the U.S. airspace. In fact, these tools could one day facilitate truly autonomous UAS. Going into 2018, UAS technology can be augmented further with Operational Intelligence (OI), which delivers the situational awareness needed for safe and efficient UAS operations in increasingly congested airspace. 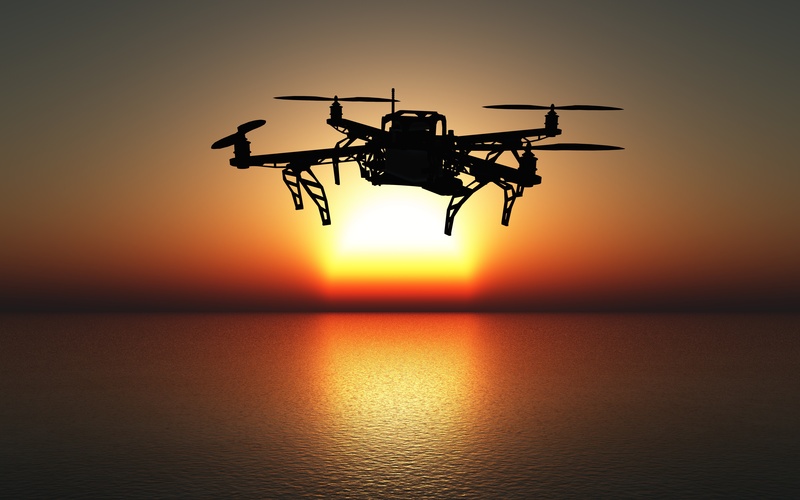 As regulatory organizations such as the FAA continue to advance drone regulations and allow flight beyond an operator’s line of sight, demonstrations of safe, autonomous computing onboard drones will be crucial in the years ahead. Built on a proprietary OI platform, Simulyze’s Mission Insight technology provides UAS operators with real-time data insight to offer a common operating picture (COP) that supports the situational awareness needed for safe UAS operations. Mission Insight can ensure that commercial and government organizations can navigate the national airspace safely while moving forward with technology innovations. Schedule a demo with Simulyze today to learn more about operational intelligence applications that provide a foundation for UAS flight safety.